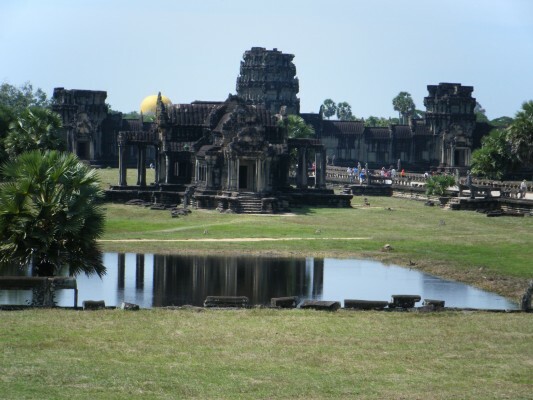 Now you are in Siem Reap which means “Siamese defeated” and refers to the Khmer victory over the Siamese in the 17th century. 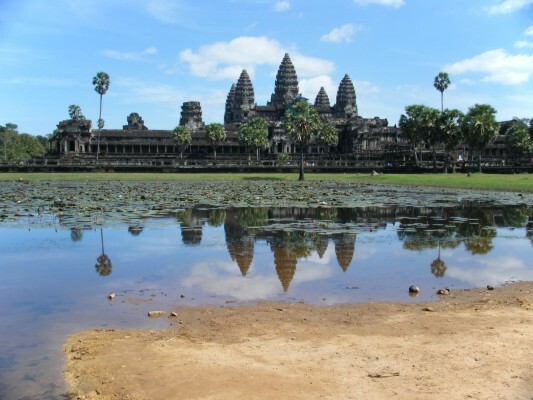 In Siem Reap, you visit the many antiquities, most notably the Angkor Wat complex. You explore these remarkable places on foot and by bicycle over the course of 3 very full days. You do so with a guide who has a compelling history. In 1975 at the age of 7, he and his educated parents were moved by the Khmer Rouge from the city where they lived to the countryside. Rith was separated from his parents who were then killed. He was made to collect dung and if he was unable to, he was not fed. In 1979 when the Khmer Rouge were finally overthrown by the Vietnamese, more than 3,500,000 people had lost their lives in the killing fields. Rith was educated by the government because he was an orphan. He never again saw any member of his family. In the temples, the carvings on the walls depict religious stories and life in the 12th century. 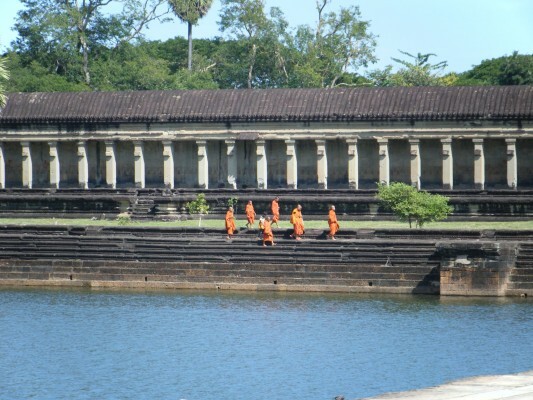 At the height of the Angkor period between the years 1113 and 1150, there were more than a million people living in Angkor Wat and 40,000 working elephants. It is the largest religious structure in the world, considered by some to be the eighth wonder. You marvel at the size, the architecture, the detail, how much of it remains. You walk on the same stones as the people did nearly 1000 years ago.